There’s Plenty of Good News Out There! “A fox knows many things, but a hedgehog one important thing"
Looking into the future is one of the most important aspects of business. We all want to know the business is sustainable and so we do budgets and strategic plans to maximise the organisation’s future performance. Just how accurate are we when forecasting? This is particularly important as upsets occur more and more frequently – last year the world was stunned by Brexit and by Donald Trump’s victory. One researcher – Philip Tetlock – has done an enormous amount of research into why most forecasters get it wrong. He has come up with some good suggestions as to how we can improve forecasting. 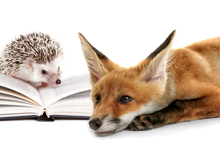 The philosopher Isaiah Berlin said people’s thinking falls into two categories – those who have one overriding idea and see everything through this idea (hedgehogs) and those who are flexible and will interpret events using a variety of ideas (foxes). Tetlock’s research shows foxes are much better forecasters than hedgehogs. It is better to look at predicting future events dispassionately and not try to distil it into one overall outlook. Usually, the forecasters you see on TV or at seminars about 2017 are hedgehogs. Learn to recognise them so they don’t clutter your own thinking. They often say “on the one hand the Rand will improve next year” but “on the other hand if there is a ratings downgrade, the Rand will not improve”. If a problem is very difficult, break it down into what you know and what you don’t. Get the viewpoints of outsiders you respect. You can get bogged down into one way of thinking – speak to different people for a wider perspective. Stop seeing the world as black or white – you are never 100% right or 100% wrong. Start thinking in terms of probabilities and define an issue as having, say, a 60% chance of being resolved in your forecast period. Be balanced in your thinking when confronted with new data or events. Learn what is relevant and filter out the “noise”. Strike a balance between being too prudent or too decisive. There is risk in making quick judgments and equal risk in taking too long to get to a resolution. Acknowledge errors and learn from them. Team work is better for forecasting. Learn good perspective in managing competing ideas, constructive confrontation and asking good questions. It’s like riding a bicycle – the more you do it, the better you get. As we move further into an age of uncertainty, understanding Tetlock’s philosophy can help your business navigate into the future. Lately, all we seem to get is depressing news – potential ratings downgrade, declining employment, corruption scandals and escalating protests. Despite this good things continue to happen and the trajectory of the nation is, in many ways, upwards. If you don’t believe it, what about this? Perhaps the most significant statistic is how is our income per head (GDP is used as a surrogate for this) doing in real terms (i.e. stripping out inflation), as this tells us objectively that people are either better or worse off than previously. GDP per capita has grown from approximately US$ 9,900 in 1996 to US$ 12,400 in 2015 - an increase of over 25%. Remember the Rand to $ exchange rate has declined from $1 = R4 to $1 = R14 in this period. Thus, average living standards have increased substantially. In other words, 38.8% of the population in 2001 lived on R1,300 per month whilst only 10% now do. Today 25% earn R20,500 per month versus 16.3% in 2001. 28.8% of the population have moved from low income to medium/high income in a generation. Along with this there have been large increases of people with access to running water, health care, education and electricity. This is quite some going. In 1995 259,000 Black learners matriculated whilst last year just under 370,000 matriculated. In 1994, 20,610 people (27.8% of all graduates) graduated from tertiary institutions with degrees in science, engineering and technology – last year this figure was more than 55,000 (30% of all graduates). Thus, if we look beyond the noise, things are going quite well. In a generation, the country has made incredible progress. Don’t forget the recent election – we heard plenty of populism and dire predictions, yet people filtered out the noise when they voted. Recent legislation has been passed which obliges trustees of sectional title schemes to set up a reserve for repairs, maintenance and asset replacement of the common property. This is in addition to the current administration requirement to cover future operating expenses. If you are involved with bodies corporate you need to pause and consider this legislation – it could hit your pocket and will take time to understand as it places increasing onus on trustees and by extension all stakeholders. The new common property reserve fund will depend on the size of the scheme’s common property assets – for example, if there are items like lifts, large buildings etc then your exposure will be greater. The higher the body corporate’s cash position and/or investments the lower the financial exposure you will have. To illustrate this, look at the body corporate’s annual financial statements and see what cash and/or investments they have. If the cash/investment is enough to cover a full year’s expenditure, your financial exposure should be low as the trustees on the body corporate will be able to create the reserve by using the current cash/investments. How is the reserve fund determined? The Act lays down requirements for the reserve fund – the minimum amount is 15% of last years’ payments to the administration fund (sectional title schemes have been required for some time to have a fund for operating costs called the administration fund). In terms of the reserve fund, the trustees must draw up a detailed plan to be presented at the Annual General Meeting (AGM). This needs to show, inter alia, each capital item and forecast future repairs and replacement of the capital item for the next ten years. As an example take a lift and assume its economic life is twenty years and the replacement cost is R1 million and the lift is ten years old. Annual maintenance is R10,000. Then the trustees will need to provide R10,000 (annual maintenance) plus R100,000 (ten years to replacement) = R110,000 per annum to the reserve fund. This plan is then approved at the meeting. This is clearly a substantial undertaking – make sure you understand how this will work. All new schemes and rule changes are to be vetted by the Ombud Service. A new set of prescribed rules for bodies corporate came into effect in October last year. They replace existing rules and new and existing bodies corporate need to implement these new rules. The only exception is where bodies corporate have customised rules for their body corporate and these rules do not conflict with the new rules. There have been significant changes to the governing of bodies corporate. Speak to your accountant if in doubt as it may require additional funding by you. Remember that whilst you may need to pay now to set up the reserve, in the longer term this will even out and will substantially reduce the need to raise special levies. In the life-span of a business, there will almost certainly be a protracted legal process. To a small or medium-sized business, this can prove ruinous as legal costs can be prohibitive. You can sell your claim but the trade-off is only getting a small fraction of the claim. Or you can ask your lawyer to fund your side of the case using the Contingency Fees Act – but only if you can find an attorney prepared to use this approach. This concept has gained traction overseas and is worth seriously considering. In this model, the litigation funder pays all legal costs in return for 40-55% of the claim. Before you recoil at this amount remember that 50% of the claim is way more preferable than 100% of nothing. You are fully committed to the claim and are prepared to see it through to the end. The litigation funder will be as keen as you to see a successful result and can manage this process for you. This leaves you more time to focus on your business. If your opponent is well-resourced and intimidating, having a litigation funder will dissuade it from dragging out the case until you run out of funds. It could also persuade the other party to settle the case. 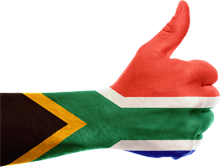 Litigation funding has been successfully used overseas and thus there is no reason that it won’t be equally successful in South Africa. Ask your accountant for advice if you want to pursue this. The due date for provisional taxpayers via eFiling is 31 January 2017. Don’t forget, if you are involved in a dispute with SARS, the definition of business days allowed for each party to respond excludes not only Saturdays, Sundays and public holidays but also the full period from 16 December 2016 to 15 January 2017. Also note the Special Voluntary Disclosure Program deadline has been extended from 30 June to 31 August this year.